BELVIDERE – With deer season well underway, some white-tails have gone to extraordinary lengths to remain alive. In Belvidere, some hunters have reported seeing some of Bambi’s relatives wearing bright orange garments as to protect themselves. 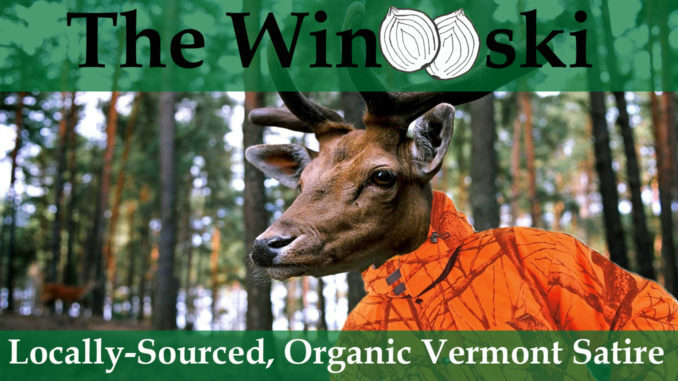 Yup, I’ve seen at least six bucks wearing antler wormers,” confirmed veteran hunter John Doe.